Have you ever flown kites ? Have you ever observed Kites when they fly and they lie on the ground? 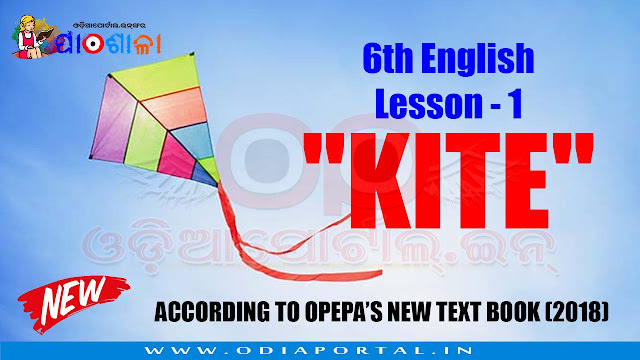 Do kites look different when in the air? Do they also act differently? See the two pictures of kite and guess. Is it possible to write a poem on these two stages- kite on the ground and kite in the sky? Let's read this poem and see. Teacher reads aloud the poem pointing at each word. S/he reads (showing the poem to the students). Students listen and look at the teacher closing their books. Teacher reads aloud as before, students listen and see their text. Teacher reads aloud one line, students repeat after him/her in chorus. Students read the poem silently. Students answer the following questions asked by the teacher. 1. What is the poem about ? 3. In which situation is the kite more active - in the air or on the ground? 4. What does it do when it is in the air? 5. How is' fr when on the ground? 6. Where is the kite very happy in the air or on the ground? 7. How many stanzas are there in the poem ? 8. What does the first stanza talk about ? 9. What does the second stanza talk about ? 10. What do the first two lines of the first stanza talk about- kite on the ground or kite in the air?